On November 1st, 2014, hostilities ceased with our adversary the clan from Maldives. Unfortunately we were not victorious, but we knew that we were outgunned from the onset of the war, in a big way. Our opponent had 7 Townhall 9 bases, 12 Townhall 8 bases, and 10 Townhall 7 bases. They had only one base that was under a townhall 7. I hope you all have had a couple of minutes to reflect on your individual performance as well as the clan’s. The leadership council is so very proud of our clan's dedication and tenacity to never give up. We truly gave a superior clan all they could handle for the majority of the war, and one can only assume that they had to have been quite impressed that we fought to the bitter end. They certainly did not assume that the war was won for them, or they would not have launched their last minute attacks which sealed the results. We have a special clan. The amount of sacrifice for the good of the clan is awe inspiring, and is a shining example of how a clan should be in this game; it even transcends the game itself as an example of some very honorable qualities that a person can possess. That being said, a loss is never easy to stomach, whether it be to greater opponent or not. I hope you all have had a couple of minutes to reflect, and are at peace with yourselves and each other. But I am going to present to you several observations about our performance and their performance, as well as some VERY POSITIVE things that we can take away from this loss. 1) I think we can all agree now that dragons are certainly NOT irrelevant at Townhall 8. Our opponent has mastered the use of dragons and rage spells, and we now see that they can be a potent weapon against even the vaunted Townhall 8 bases. I want to encourage everyone to look at the replays and see how they deployed their dragons, and where and when they place the rage spells. Although a TH8 does have much improved Air Defense over the TH7 defenses, they are still vulnerable to 11 dragon attacks with 3 rage spells. And speed is the key when dragons are attacking a TH8 base. I believe that the theory they were most concerned with was using the rage spells to get the dragons to the air defense by placing them properly. One method I witnessed was using the rage spells as “stepping stones” to thrust them inward toward the center of the base. I believe part of it is in the coding of the game, that the dragons tend to follow the direction of the rage. Additionally, while dragons have a tendency to fan out to the peripherals, it appears that the rage placed on several dragons in the middle of a line of dragons will force them inward, ie, the dragons on the ends prevent the other from completely fanning out. At this point, I want to apologize for discounting dragons at the Townhall 8 level, and now encourage anyone who now believes (as I do) that they can be effective against TH8’s to use them at will, along with your 3 rage spells. So from time to time we have to re-shape our theories on game strategy, and this is clearly one of those times. I do however have reservations about recommending them against TH9 bases because of the additional structures and AD. 2) Participation. We had fantastic participation, and for the most part stuck to our clan rules on attacking the same level TH. I am very proud of this, and we would not have remained in the war had we strayed from this rule. We witnessed TH7’s 3-starring our TH8 bases with dragons, and rarely did the opponent attack very far below his level. I am told that their #4 attacked Andrew, and after that he was KICKED FROM THE CLAN. I went in and looked, and confirmed that he is no longer in the clan. As to whether or not that was the reason, we can only speculate. My point is that this is an example of discipline. They had it, and we have it too. We should continue to STAY disciplined. I don’t want our TH8’s going after TH7’s unless every TH7 player with dragons has done their part. The reason is that if a TH8 takes out a TH7, there is no reciprocity there. Even though it can be done, it is significantly more difficult for a TH7 to take a TH8 because of the additional structures, AD, level of dragon, level of rage spell, and of course experience. So let’s please leave the TH7’s for our TH7s. Also, we may need TH8’s to come in and clean up failed TH7 attacks at the end. 3) Calling our opponents. It was a little rough this first week of formally calling our number. We’ll give it another couple of weeks to see how it works. I’m sorry that it’s a little cumbersome to use the forum to do this, but it’s the only failsafe way to do it, because clan chat messages get buried in a hurry during war. Give it a chance before we scrap it. 4) Base Designs. Perhaps many of us, me included need to re-look at our WAR base designs. One thing for certain, is that when you have your base packed tightly together, it certainly makes it much easier for dragons to 3-star the base when rage spells are used. The reason is that they have less space to travel before reaching the Air Defense. We should also pay close attention to our air bombs and seeking air mines, as well as the skeleton defenses for those of us who have them. Also, another common defense theory is that of the use of gold and elixir storages. The storages are fairly unique in that they have a high amount of hit points. The common CoC theory is always placing the storages in range of your AD, so that when a dragon gets hung up on a storage, the AD is shelling the dragon. Some bases actually use the storages to “protect” the AD, and I believe one of the opponents did that. 5) Tempers. This is an area where we need some improvement. I know that tempers flare (even though it’s just a game) when we’re doing our best in a war, and more so when things are not going well for us. We have been together for a long time and are like family now…and as we all know, families tend to fight a little. (yes, they do…) Let’s try to remember that we need to keep things civil, stay calm, and THINK before we type something into clan chat that could be hurtful. Remember we are all on the same team, and we want the best for all of us. When (not if) you get frustrated or angry, stop yourself from blasting something out on the chat for all to see. Please don’t call others out in a negative way. We are ok with constructive criticism as we always have done, but please nothing inflammatory. Elders, you need to be keeping an eye on this, as that is part of your function as an Elder. If you see a situation getting heated, as the parties to calm down, etc… I know that you will find that if you restrain yourself you will be happy you did later on when you cool down. 6) Lastly, Air Defense. What more can we say? I think we all saw for ourselves the importance of air defense. Just do what you can to pay attention to you AD. TH7’s, there’s unfortunately not much you can do to stop any all-dragon attack. Every once in a while you might be able to stop one if you have everything laid out just right and the attacker executes poorly. But you should know that part of being a TH7 is that you really still can’t stop what you can dish out. I will say that it definitely appears to be much more effective when your AD's are closer to the center than if they are closer to the edges. I invite and encourage ANY and ALL comments on observations from the war, as well as other tips we can all use to better ourselves. Again, we really gave Maldives a great run for their money. Top Tier: please check what you think about my observations and correct anything that may be patently incorrect. I am not the end-all on CoC knowledge, nor would I ever claim to be. 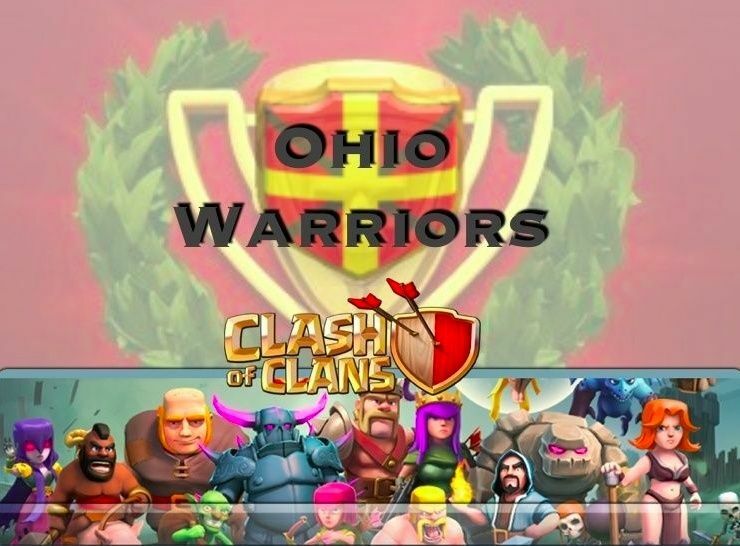 Let's put this loss behind us, chalk it up to a learning experience, and look forward to our next clan war. HUAAAA!! Very good war post mortem from the leadership. I will be adjusting my war base accordingly with your comments regarding DA and spreading out a bit. I'd also like to say that I am guilty as well for letting my temper flare a bit at times and would like to assure the clan, especially in light of my recent promotion, that it will not happen again. I would like to apologize for my comments here and I am truly sorry if I went over the top. I am glad to be a part of the clan in any capacity and in future will do my best to only serve the good of the clan.